This case may prove to be too hot to handle.There's silver out there: Sabrina Eckhart is sure of it. And when she finds the hidden mine on that big piece of West Texas desert, all of her financial problems are solved. That is, if she can find it. The man with the skills she needs is private investigator Alex Justice--a former navy fighter pilot and a current pain in the neck.When mysterious "accidents" start to plague their search, it seems Rina's multi-acre inheritance might be more a curse than a blessing. And yet, there's still something sensual about the heat...his arrogance...her stubbornness...being thrust into each other's arms by danger... But the vultures are circling, and if they don't watch their backs, the relentless desert sun could be the last thing Rina and Alex ever see. 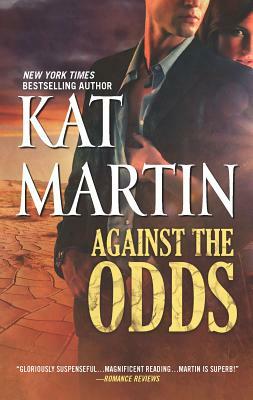 "Kat Martin is a fast gun when it comes to storytelling, and I love her books." --#1 New York Times bestselling author Linda Lael Miller.